With the traditional handshake, Bill Sisler, who founded the business over 40 years ago, passed control of his organization to Phil St. Moritz, the new owner. Today’s operation encompasses three separate locations on Deep Creek Lake and expansive off-lake boat storage facilities. Sales and service operations extend to other recreational lakes in the area, such as Youghiogheny Reservoir, Cheat Lake, Tygart Lake, Bloomington Lake, and others. Service facilities with over 8200 square feet of floor space include motor repair. Lower unit repair and state-of-the-art fiberglass repair and paint shop. Factory-trained technicians on duty year-round and Service Manager’s with years of experience in all aspects of boat and motor repair. 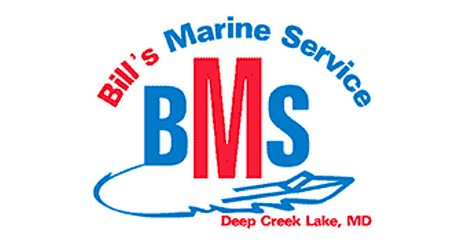 Bill’s Marine Service maintains the area’s largest parts inventory so you can be back on the water as soon as possible. Over 4000 square feet of showroom space to allow inspection of several major boat lines in a comfortable, controlled environment. An experienced office staff applied their expertise for titling, licensing and financing. A fully stocked accessory store includes such diverse items as boat wax, hull cleaners, paddles, water skis, wakeboards, kneeboards, and life vests. The best rental fleet on Deep Creek Lake is available for your enjoyment. Bill’s Marine Service Service sells and services Polaris® ATV’s, personal watercraft, and snowmobiles as well as Arctic Cat® snowmobile, for even more year-round excitement.